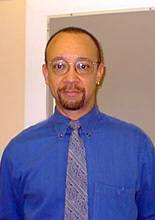 Richard Yarborough is Professor of English and African American Studies and also a Faculty Research Associate with the UCLA Ralph J. Bunche Center for African American Studies. He has received UCLA’s Distinguished Teaching Award and commendations from the City of Los Angeles and the County of Los Angeles. In 2012 he was given the American Studies Association’s inaugural Richard A. Yarborough Award in Mentoring, which is named in his honor. In 2014 he received the UCLA Academic Senate’s Diversity, Inclusion and Equity Award. He has written on authors such as Frederick Douglass, Charles Chesnutt, Ann Petry, Harriet Beecher Stowe, and Richard Wright. He is the director of the University Press of New England’s Library of Black Literature series and the associate general editor of the Heath Anthology of American Literature. General Editor, The Library of Black Literature series, Univ. Press of New England (formerly published by Northeastern Univ. Press), 1988-2014. Winner of the 2002 African American History Award by the Boston Museum of Afro-American History. Associate General Editor, with Paul Lauter (General Editor), John Alberti, Mary Pat Brady, Kirk Curnutt, Daniel Heath Justice, James Kyung-Jin Lee, Wendy Martin, D. Quentin Miller, Bethany Schneider, Ivy T. Schweitzer, and Sandra A. Zagarell. The Heath Anthology of American Literature. 7th ed., rev. Boston: Wadsworth-Cengage Learning, 2014. “William Attaway.” Writers of the Black Chicago Renaissance. Ed. Steven C. Tracy. Urbana: Univ. of Illinois Press, 2011. 30-52. With Dianne Pinderhughes. “A Changing Political Context: The Pinderhughes, Yarborough Report.” Inclusive Scholarship: Developing Black Studies in the United States. New York: Ford Foundation, 2007. 159-229. “Violence, Manhood, and Black Heroism: The Wilmington Riot in Two Turn-of-the-Century African American Novels.” Democracy Betrayed: The Wilmington Race Riot of 1898 and Its Legacy. Ed. David S. Cecelski and Timothy B. Tyson. Chapel Hill: Univ. of North Carolina Press, 1998. 225-251. Rpt. in Chesnutt, Charles W. The Marrow of Tradition. Ed. Werner Sollors. 1901. NY: W. W. Norton, 2012. 313-337. Introduction. Uncle Tom’s Children. By Richard Wright. 1940. New York: Perennial-Harper Collins, 1993. ix-xxix. “Race, Violence, and Manhood: The Masculine Ideal in Frederick Douglass’s ‘The Heroic Slave. '” Frederick Douglass: New Literary and Historical Essays. Ed. Eric J. Sundquist. New York: Cambridge Univ. Press, 1990. 166-188. Rpt. in Haunted Bodies: Gender and Southern Texts. Ed. Anne Goodwyn Jones and Susan V. Donaldson. Charlottesville: Univ. Press of Virginia, 1997. 159-184. Scholarly Advisor and Featured Commentator, The Life and Crimes of Doris Payne, a film documentary by Kirk Marcolina and Matthew Pond, 2012-13. Featured Commentator, “Novel Reflections of the American Dream,” produced by WNET-TV (New York) and broadcast as part of the American Masters television series, PBS, 2007. Dramaturg, House Arrest, a play by Anna Deavere Smith, in workshop at the Mark Taper Forum, 1998; and at the Institute on the Arts and Civic Dialogue, Harvard Univ., 1998. Scholarly Advisor, The Josephine Baker Story, a film produced by Home Box Office, 1989-90.